There was a special menu printed for this burger festival and it had several options available. We decided to go with the English Beef Burger and the American Chicken Patty (with Pork Bacon) Burger. 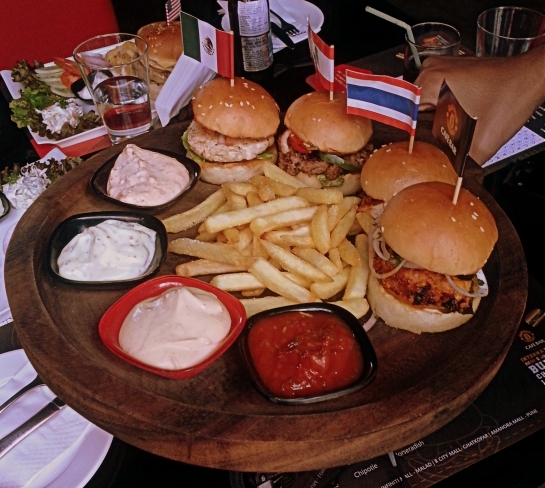 There was also a burger platter available, with mini burgers from various nationalities, so we ordered that as well. 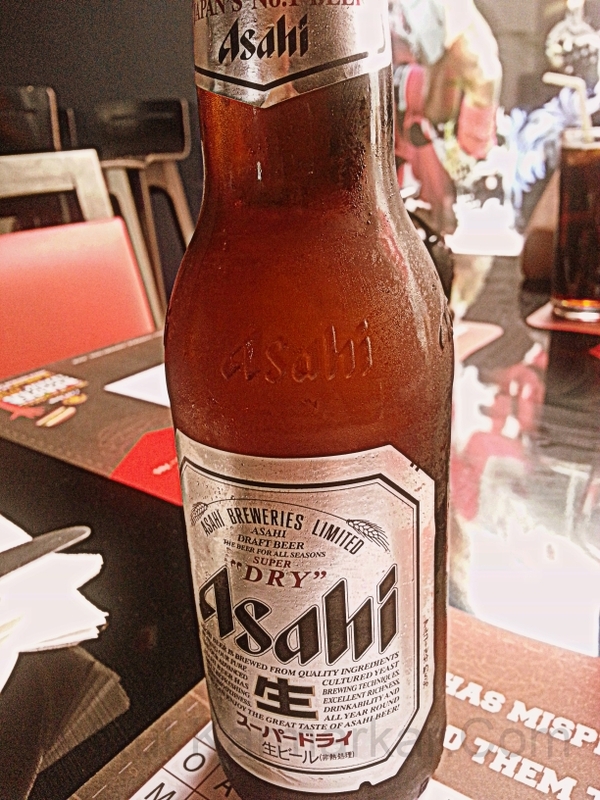 I was feeling quite “beerish”, so ordered an Asahi beer. The main burgers took their own sweet time coming, and when they finally did, they sure looked appetising. Sadly, looks were the only positive feature here. Both the burgers were quite disappointing in terms of taste and flavour and it was tough to tell which was which. They were dry, the bun was crumbling and falling apart, the juiciness of the beef was non existent. It wasn’t prepared to specifications either. In the American burger, the pork bacon was replaced with limp chicken bacon. Apparently, the pork bit in the menu was a printing mistake, as we were informed. 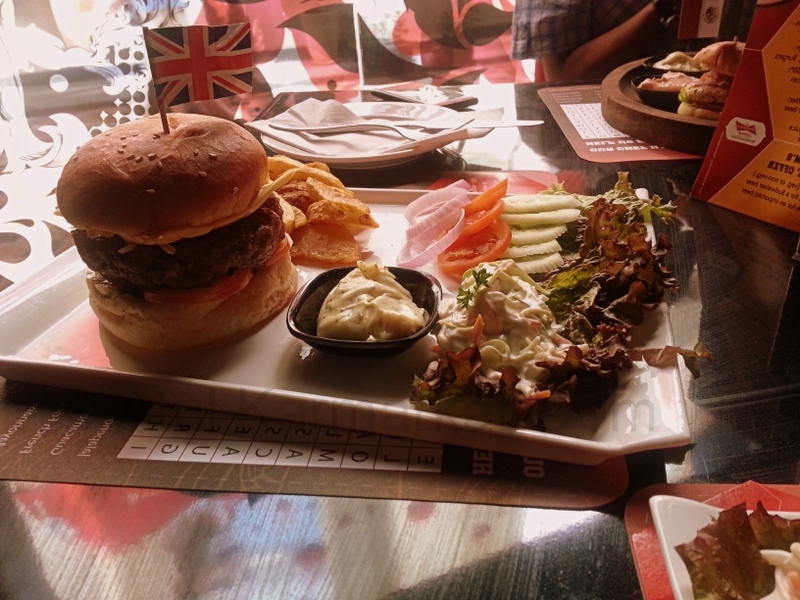 Thankfully, the meal was salvaged by the mini non-veg burger platter which featured Lebanese, Mexican, Indian and Thai burgers. In terms of portions, they were barely 2-3 bites worth, but were quite succulent, and much better than the main burgers. 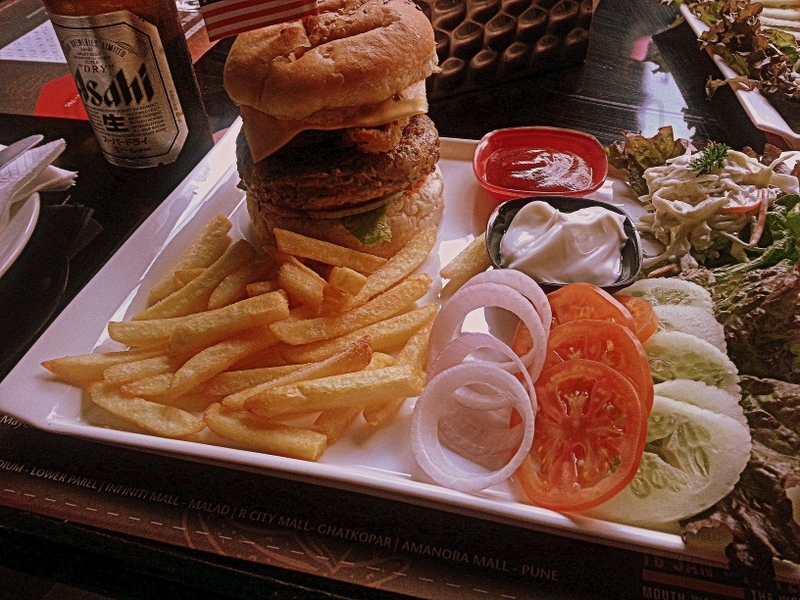 The Indian burger, with a chicken tikka inside, wasn’t really much of a burger anyway. The other three had an interesting mix of flavours native to their countries. The dips were pretty interesting too. However, at Rs.850, the platter was quite overpriced. All said and done, the burgers were average, and I’ve had better chicken burgers at Burger Barn, and beef burgers at Hard Rock Cafe and even Terttulia for that matter.